A true multibagger stock can multiply your money many times over the long run. You can become crorepati by making an investment in the multibagger stocks. However, it is difficult to identify best multibagger stocks for investment. In order to help you, I have identified Top 10 Best Multibagger Stocks of India, not only that I will be giving you tips about how to identify multibagger stocks in India. You should invest in these multibagger stocks as and when you are buying products from these companies. Small amounts that you spend on your favorite products would have grown multifold if you had invested the same money in buying the stocks of the Company. Suppose you spend Rs 6,000 on petrol 1999 on BPLC petrol pump, if you had also placed an order for an equivalent value of BPCL shares, you would have nearly Rs 1.5 lakh today. Maruti is one of the best and my favorite multibagger stock. The stock of Maruti has grown by 27 times since 2003. If you have purchased jewllery of Rs 10,000 in 2005 along with the stock of Titan, it would have grown to 4.6 Lakh. After going through best multibagger stocks let’s check out how to identify multibagger stocks in India. 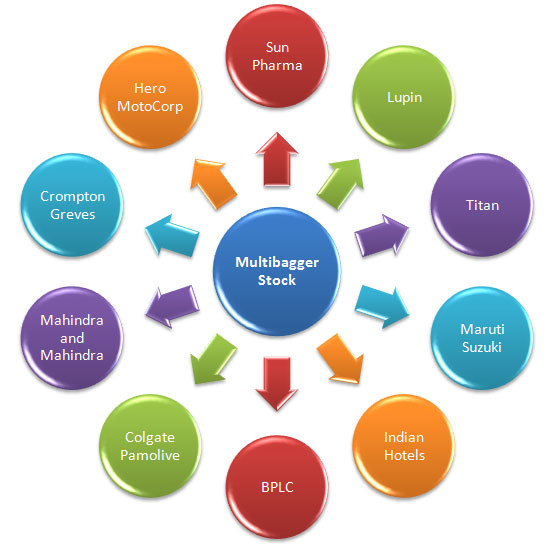 How to Identify Multibagger Stocks in India? Identify Stock Potential – You should look for future prospective and potential for the identification of multibagger stock. You should do this exercise at an early stage when the value of the stock is less. There is no point in finding and investing in overvalued stock. E.g If you are planning to invest in Hero Motor Corp right now, It is not advisable because the share price has run up sharply and business activity is at peak. Equity Level – Companies with high equity (more shares in the market) may not be best multibagger stocks. You should look for a company with low equity level. Low equity means return on equity will be higher. Examples are MRF, Kaveri Seed etc. Study Debt levels – Company with huge debt will never fall in this category. The company should be debt free or with minimum debt to become multibagger stock. Future Expansion Plan – You should look for future expansion plan of the company. Sun Pharama and Lupin have become multibagger stock because they have been able to keep launching new products and grow their market share. 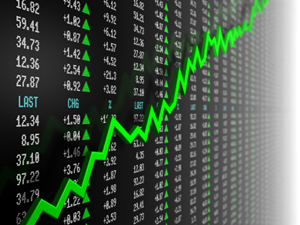 Company Performance – In order to identify multibagger stock you should study company performance. See if the net profit of the company is increasing by other income like the sale of an asset, currency fluctuation or any other one-time income. If the value of a share is not growing with the increase in net profit share is not mature for investment. You should also look at dividend track record. Dividend payment should be consistent. Have you invested in any of the stocks mentioned above? What are your views on multibagger stocks mentioned above? Do you think these stocks are worth for making the investment? Do share your views in the comment section.